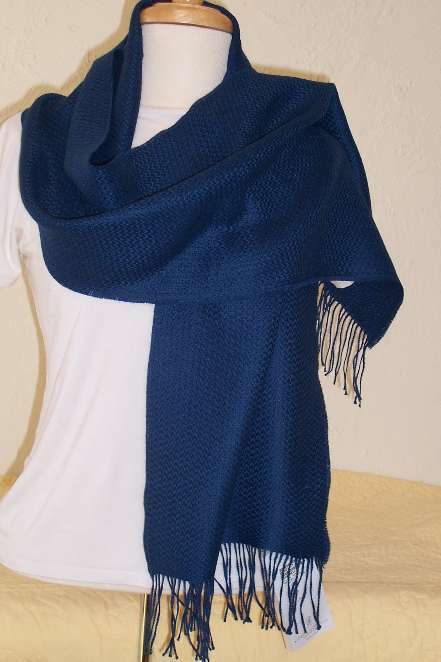 In 100% baby alpaca this woven scarf is soft, soft, soft. Whenever you feel the winter chill wrap this scarf round your neck and feel the warmth immediately. Three colors to choose from – tan, blue, gray.